I took some time off from this scratchboard to finish up my commission, but now am back to my scratchboard. This may be a slow WIP because I’ve also just started in on my annual Christmas card drawing. This will be the 11th drawing I’ll have done for the card…you can see my previous Christmas drawings here. 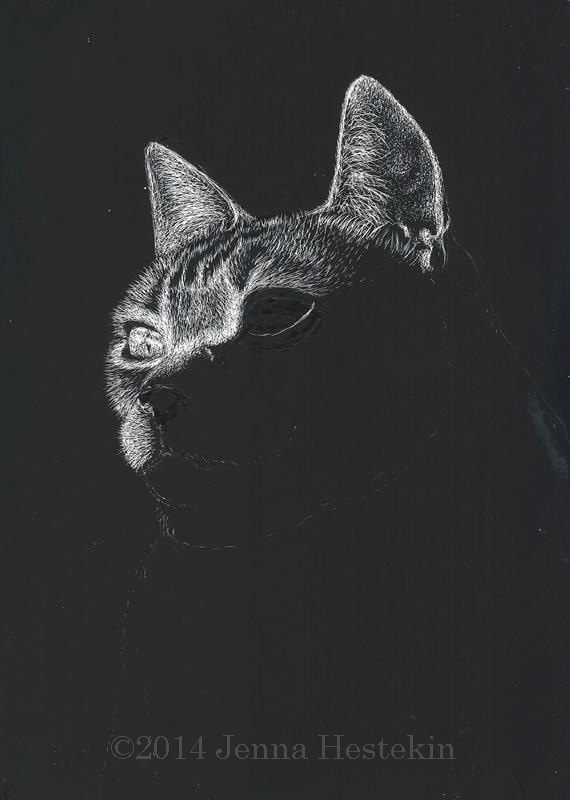 As usual, I must keep this drawing a secret until it is completed. It’s my Christmas gift to a lot of people, so I like it to be a surprise. Anyway, back to Oliver. I’ve hesitated about the ear a little bit because the shape and angle was tricky to get right. I’ve moved ahead with care, and am hoping it goes well. What I’m really looking forward to are those “flakes” of fur that run down his neck and chest. You know what I mean…the way a cat’s fur seperates into flaky layers…kind of like a tender fish filet? 😉 That will be a fun texture to draw. 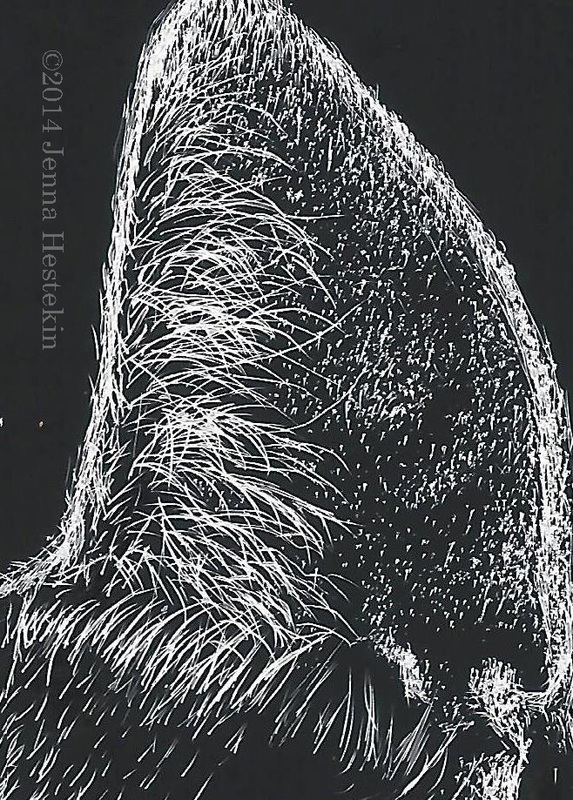 Here is a close-up of the ear detail. Beautiful, intense workout. Love the close-up shot of details, gives an idea of how brilliant your work is. You really do amazing work!